Miraculous Cross of Godenovo - Сайт godenovo! 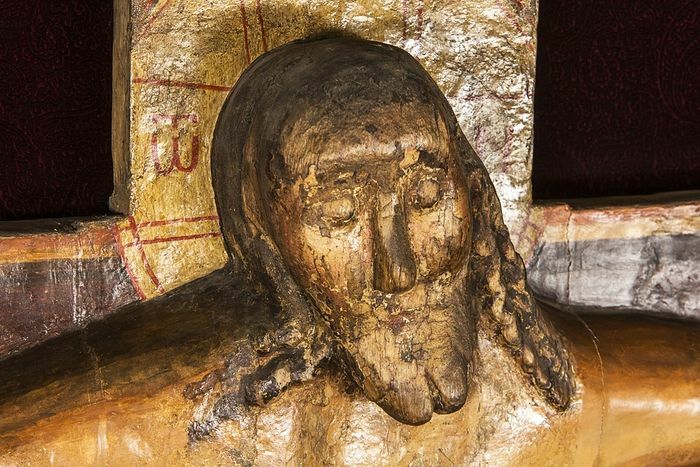 The cross which the Lord has preserved for us, and even in an active church, is not just a relic or amazing artistic image—it is a wonderworker. 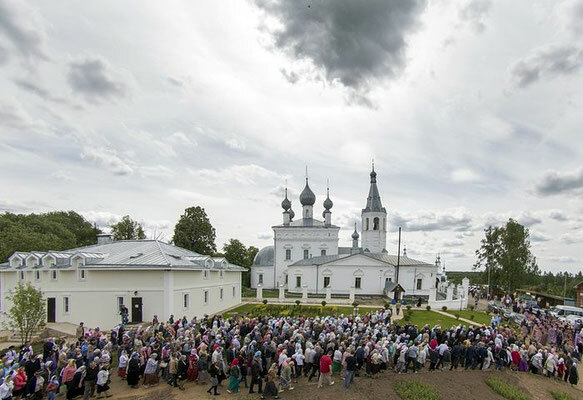 The endless stream of pilgrims to it bears witness: the Russian heart seeks the Cross. The Godenov cross is a unique sacred object, miraculously found many centuries ago in Yaroslavl. And as in the past, thousands of pilgrims come to the cross. 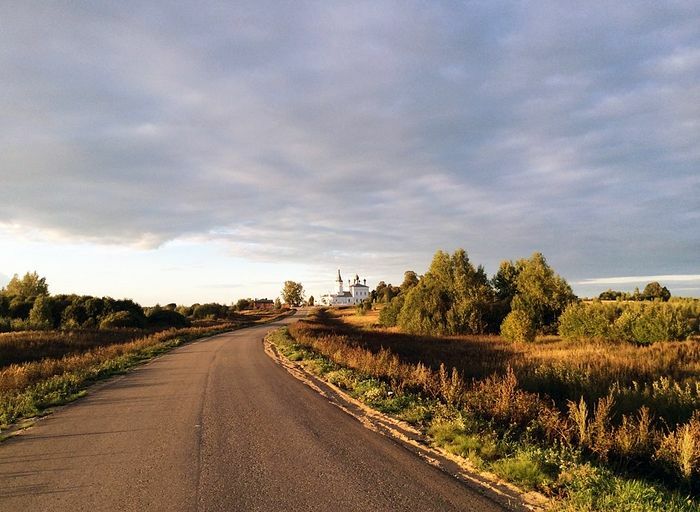 Igumena Evstolia (Afonina), abbess of the Pereslavl-Nikolsky Monastery, whose podvoriye in the city of Godenov houses the sacred cross in its St. John Chrysostom church, speaks on the cross, its history, and the miracles connected with it. 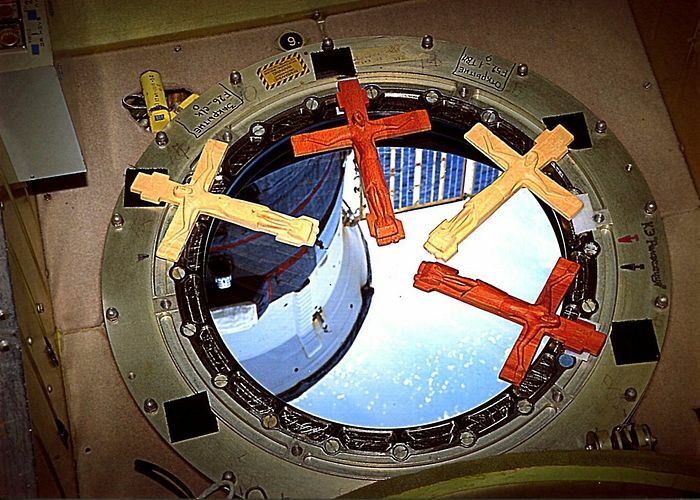 The cross was discovered in a backwater marsh not far from Rosotv the Great. The historical sources say that it appeared “from the Greeks” in 1423, that is, thirty years before the fall of Constantinople and Byzantium. For Russian history, these thirty years were marked by critical events. These were the years of rule of Vasily II, under whom Muscovite Rus’ was firmly established and strengthened, having united several kingdoms of the surrounding lands, which turned out to be the precondition for the significant event of the Russian Church becoming independent from the Patriarchate of Constantinople. 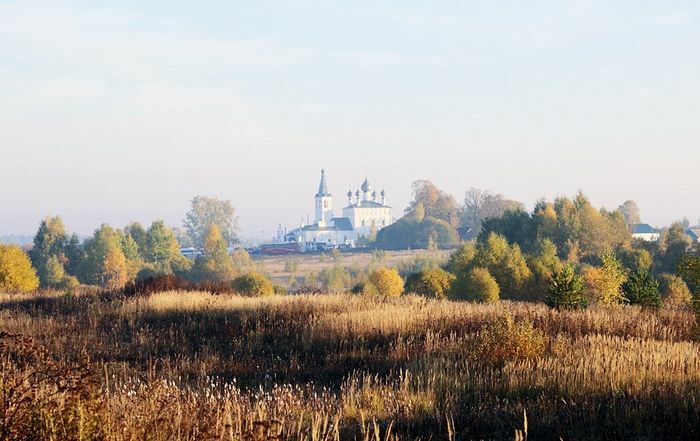 After the adoption of the Ferraro-Florentine Union the undersigning Metropolitan Isidore was driven ignominiously out of Moscow, and a Russian bishop, elected to the position by a meeting of Russian hierarchs in 1448, became the primate of the Church. 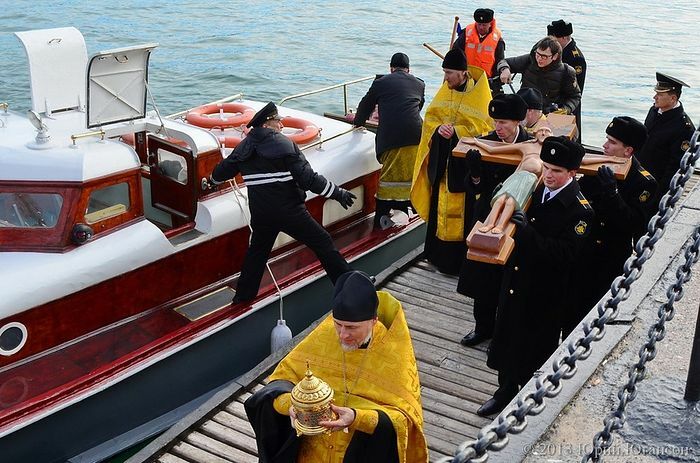 Autocephaly and state unity, already underway in Russia, were the necessary conditions for its sovereign construction. 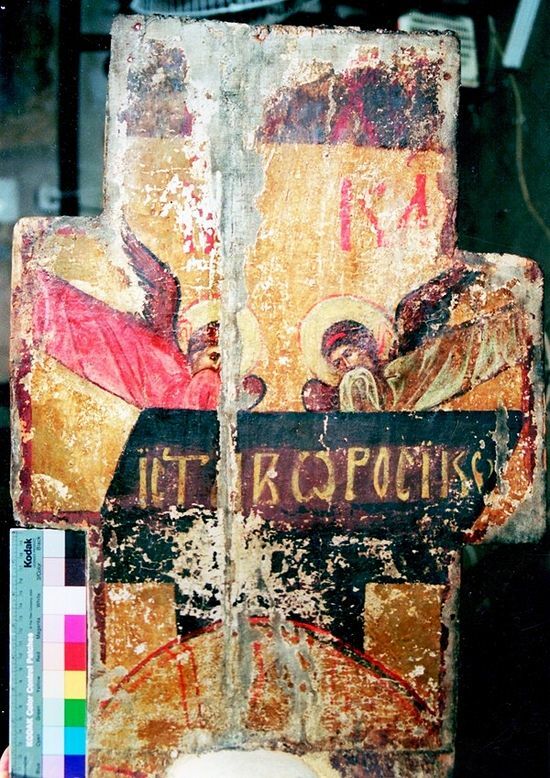 Soon, during the rule of Ivan III, after his marriage to Sophia Palaiologina, to Rus’ came the Byzantine coat of arms, and shortly before that the Constantinople icon of the Mother of God: it, like the Life-Giving Cross, was to become one of the symbols that Russia is the successor to the Byzantine Empire. 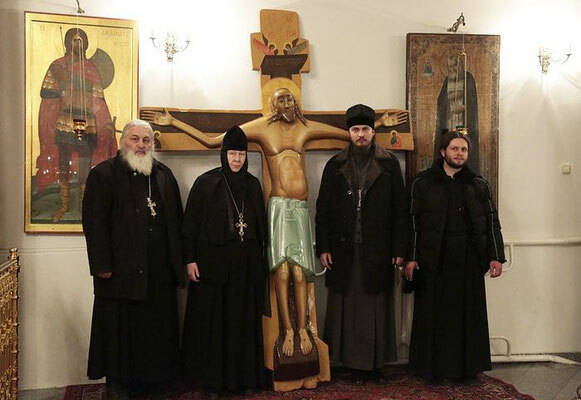 Then Elder Theophilus wrote the famous words: “Two Romes have fallen, but the third now stands, and a fourth there shall never be.” Having grasped all these events, today we can say: by its appearance the Life-Giving Cross foreshadowed the future sovereign construction of Russia. 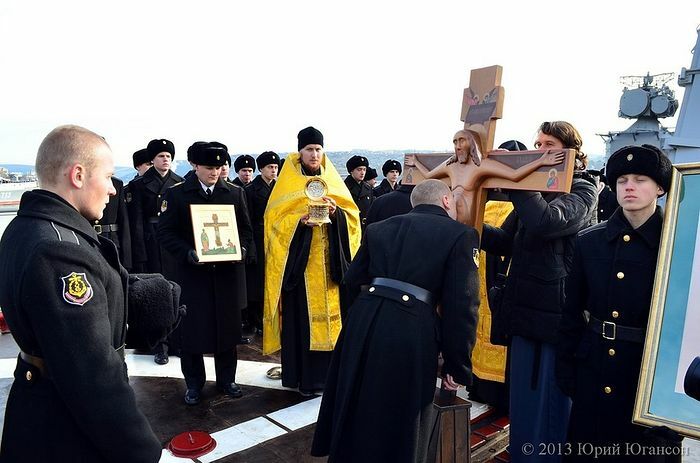 Seventy years of Soviet rule nearly blotted out from the people the memory of the miraculous cross. In the late 1990s, having learned about it by chance from some pilgrims, we took under our protection a dilapidated church with the deteriorating relic, and began to pray before the cross. 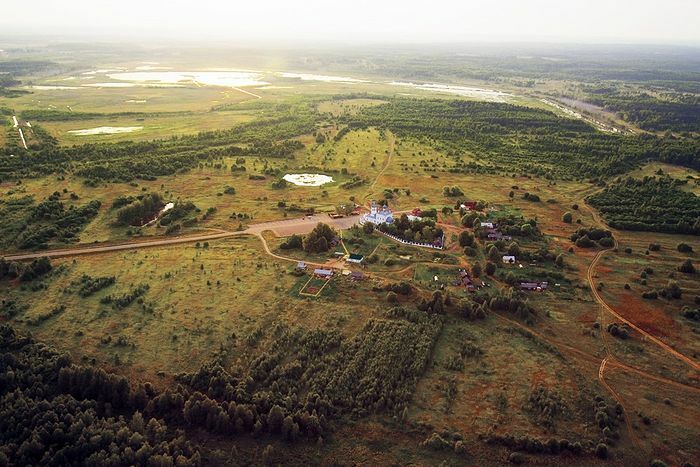 So was our podvoriye established. At that time a barely noticeable trail lead to the cross. And what do we see today? 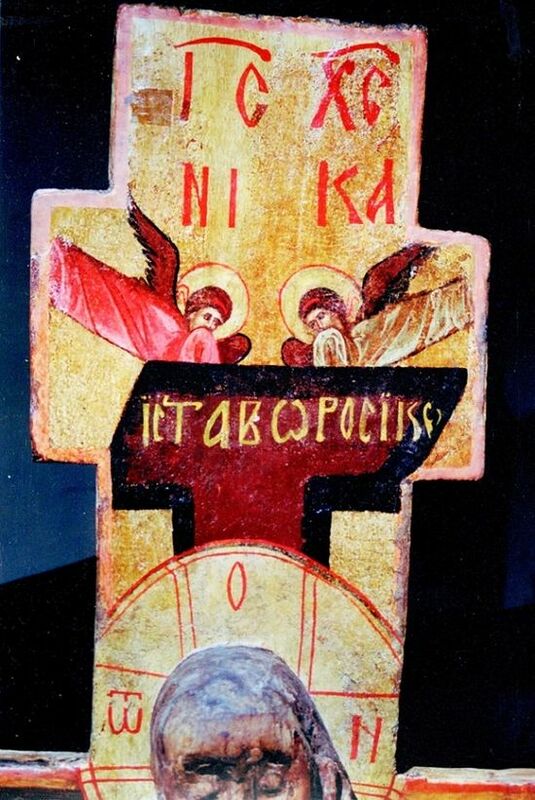 After decades of neglect the cross is so revered by the people such that we can compare it with the veneration of Sts. Matrona and Seraphim. 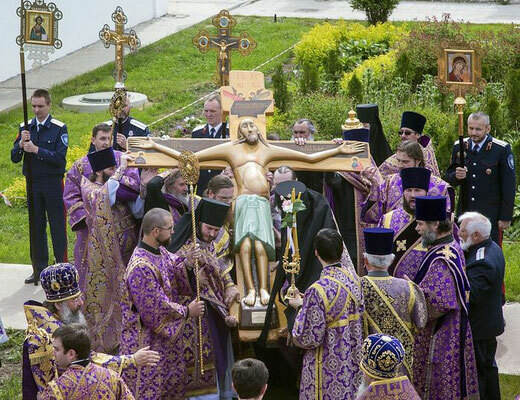 The Russian heart seeks the Cross. 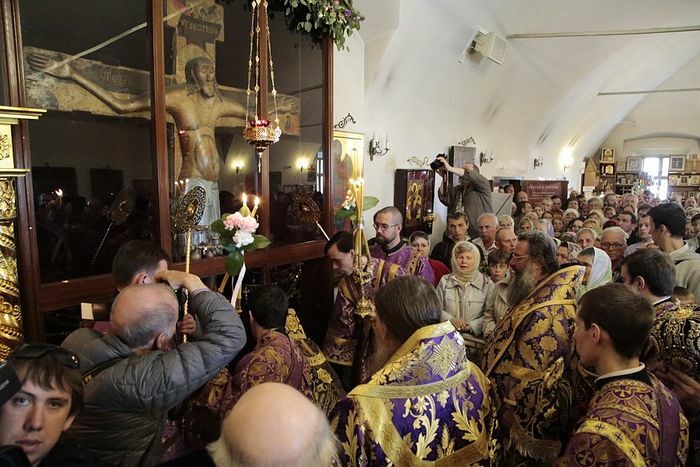 On feast days of the Cross the relic is visited by 10,000 people a day, and we see that these are not random people. The second finding of the Life-Giving Cross by the Russian people is underway, and it bears witness that the Russian people are being reborn. In the godless times the cross endured not just neglect, but it also suffered blasphemous desecration. 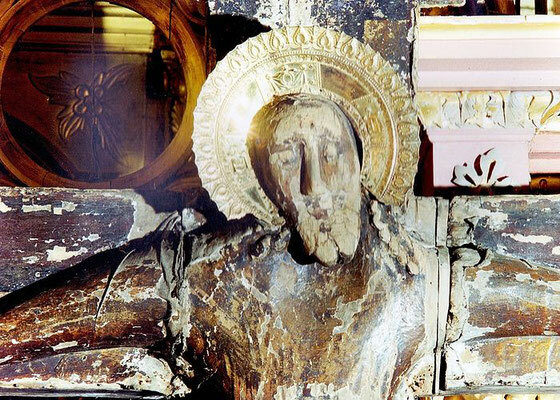 Its restoration took place in 2002-2003, and what’s more, by our request, the cross was never taken out of the active church, where, as usual, the services were celebrated. 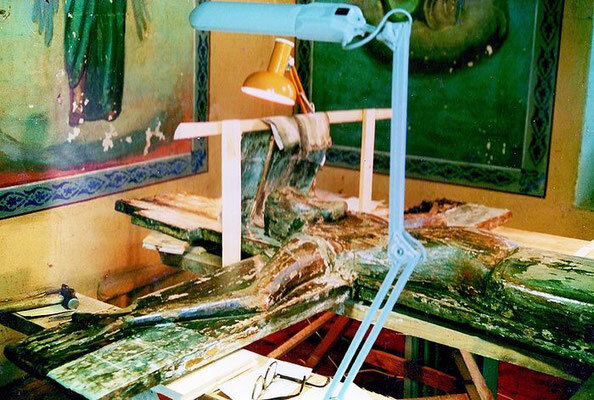 The work was carried out by restorers of the highest degree from the Russian State Museum in St. Petersburg, and now we testify: the cross has truly been saved. The cross which the Lord has preserved for us, and even in an active church, is not just a relic or amazing artistic image—it is a wonderworker. 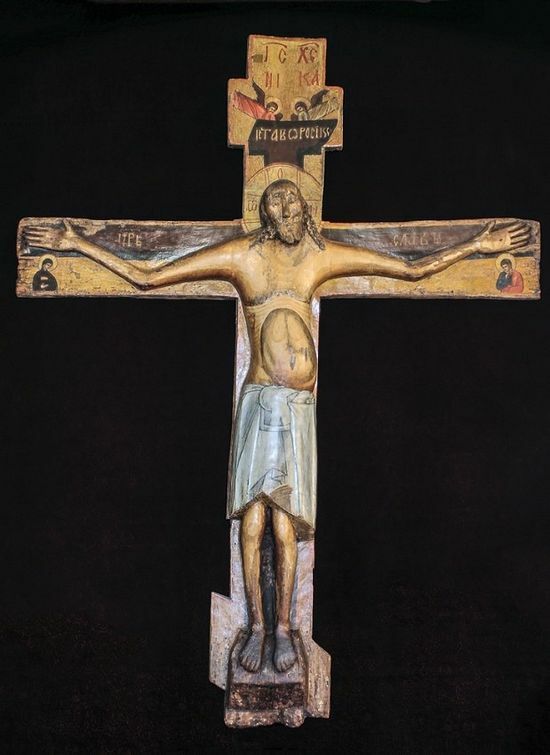 The endless stream of pilgrims speaks to that the miracles of this holy cross attract the people: they are healed from bodily infirmities and spiritually renewed, of which we have many witnesses. People have begun to ask for copies of the cross for their churches and already twelve such copies have been installed in various dioceses and regions of our vast nation. The first of these was taken to Sevastopol on December 13, 2013, the commemoration of St. Andrew the First-Called, when the Maidan was already raging in Kiev. 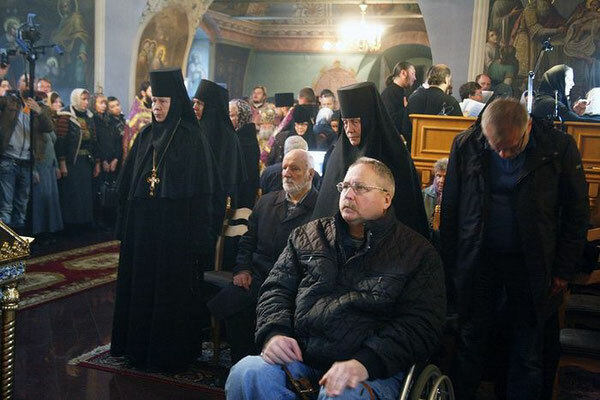 The Crimeans fervently prayed for peace in their motherland. Within a few months the holy land of Crimea returned to the bosom of the Russian House without bloodshed. 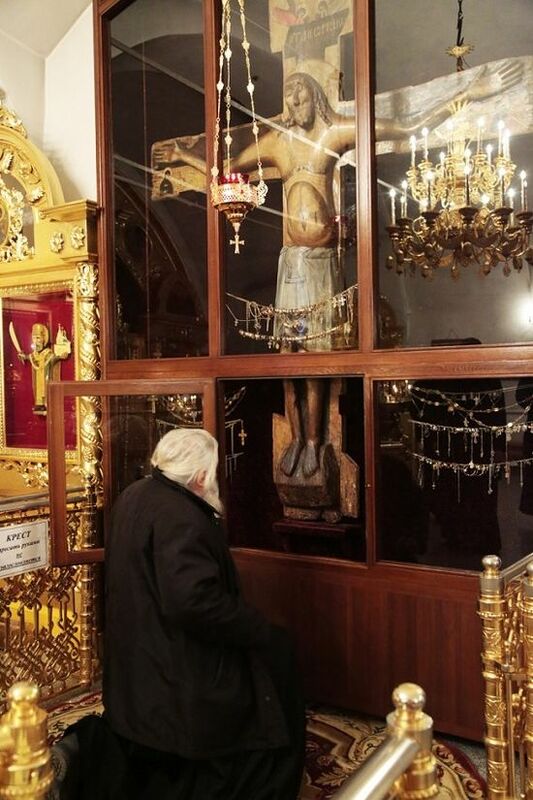 Another copy was taken to Vologda where today it is to be found in the church of St. Demetrius of Priluki, the founder of our monastery. 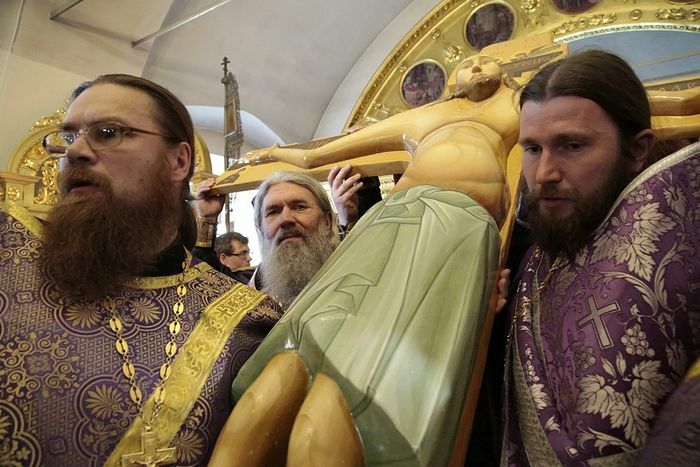 The next copy was carried to the Lugansk diocese. The image of the Savior on the Lugansk copy was made with a dark face, but miraculously after a year the face brightened and, despite the fighting in Lugansk not a single bomb was detonated nor did a single gunshot ring out within the monastery. 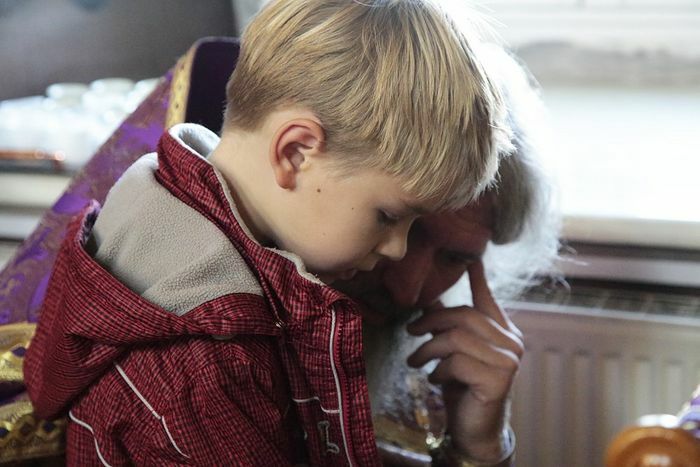 His Beatitude Metropolitan Onuphry prayed before the cross with deep reverence during his visit to our monastery. 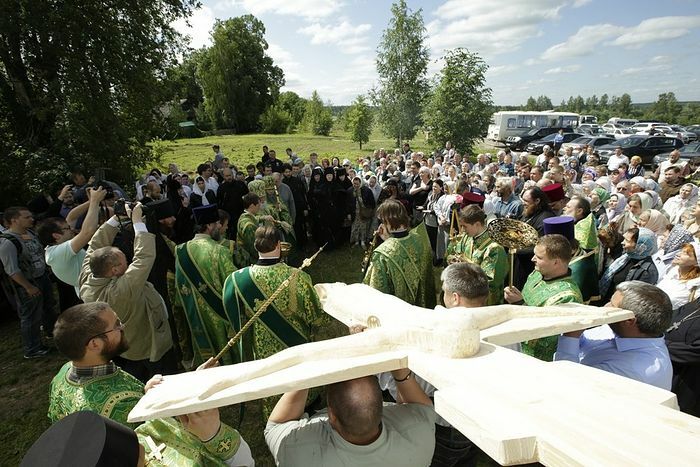 A copy of the cross was presented to Metropolitan Kirill of Ekaterinburg and Verkhoturye. 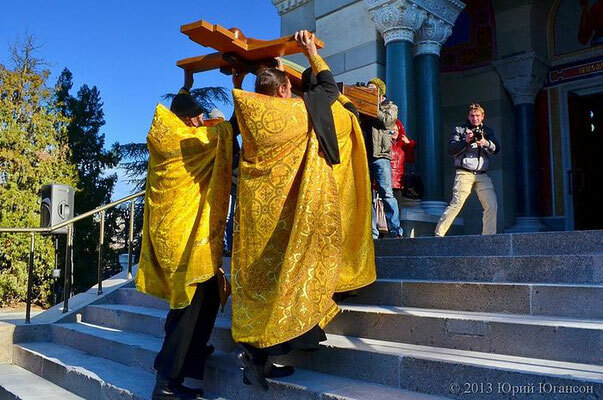 When a copy of the hallowed cross was carried in procession around our church the congregation beheld with wonder a miraculous sign in the heavens: above their heads soared an eight-pointed cross made of dark clouds, which gave way to the sun and a circular rainbow. Today this cross is in the Church-on-the-Blood in Ekaterinburg. From December 15, 2015 until June 18, 2016 a copy of the Godenov cross was at the International Space Station with the crew of astronauts Yuri Malenchenko, Tip Kopra, and Tim Peak.